How to watch Four Sisters and a Wedding (2013) on Netflix Canada! Yes, Four Sisters and a Wedding is now available on Canadian Netflix. It arrived for online streaming on March 8, 2019. We'll keep checking Netflix Canada for Four Sisters and a Wedding, and this page will be updated with any changes. 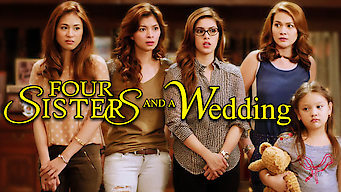 Four sisters unite to stop their young brother's pending nuptials upon meeting his fiancée’s demanding family, revealing long-simmering family issues. They can’t let their baby brother go through with this wedding. It's for his own good -- isn’t it?